The Etobicoke Rotary Club was pleased to award their 1st ever Paul Harris Sapphire Award to Mr. Ralph Chiodo. The Paul Harris Sapphire award is awarded to a Rotarian who has proven themselves to be a significant part of the community providing excellence and leadership in the service of others. 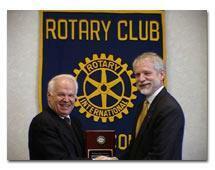 Ralph has been a Rotary member for over 10 years and has served as President from 2000 to 2001. Ralph is the proud chairman of the annual Toronto Canada Day Ribfest. For six years Pasta Festa has united Italian physicians from Trillium Health Centre, Board member Ralph Chiodo, President of Active Green + Ross Tire & Automotive Centre, Ethel Taylor, volunteer and Board member 'extrordinaire' and a community of generous supporters who enjoy good wine, good food, great company and a wonderful cause. The results have exceeded all expectations! 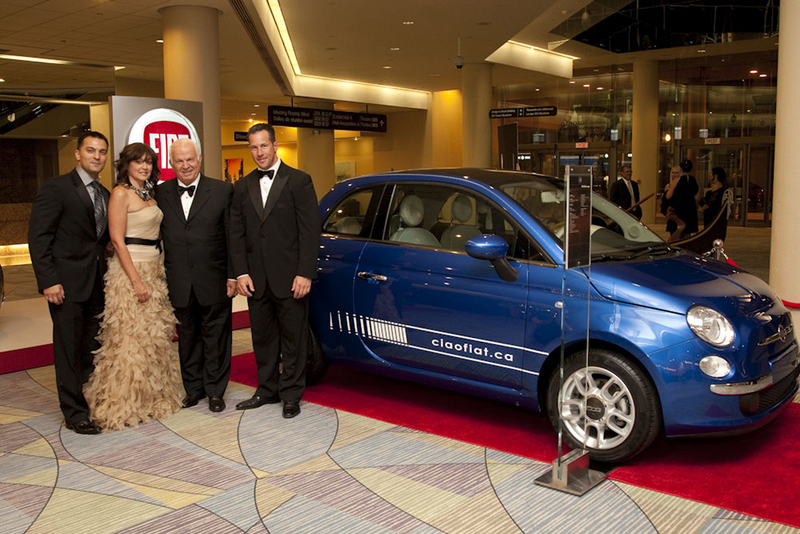 Pasta Festa surpassed its half-million dollar pledge to the Trillium capital campaign in 2007. This is recognized on a plaque in the Main Reception of Trillium’s Surgicentre at West Toronto – the largest free standing day surgery centre in North America. Pasta Festa has now completed its 7th year in support of programs and equipment at Trillium. The Foundation is deeply grateful to Ralph, Ethel and all those who participate in this festive, annual event. When Trillium docs exchange their scalpels, stethoscopes and scrubs for serving spoons and aprons and pitch in to help with the feasting and fundraising – all the ingredients make for a tremendous evening. Active Green + Ross receives Skilled Trades Alliance Employer of the Year Award. 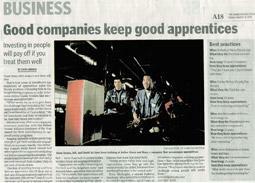 Active Green + Ross receives Skilled Trades Alliance Employer of the Year Award on Friday Marcy 9, 2007 in the Hamilton Spectator. Please click here to see the article. On Sunday, May 16th, 2010 Active Green + Ross presented cheques to both Villa Leonardo Gambin Charity and the Christina Ciccolini Bone Marrow Fund prior to the Toronto Blue Jays game. It was a winning day for all concerned: the Jays beat the Texas Rangers;and two local charities were generously supported. Also lucky Active Green+Ross customers received free tickets to the game.